Ali Crawford has an M.A. from the Patterson School of Diplomacy and International Commerce where she focused on diplomacy, intelligence, cyber policy, and cyber warfare. She tweets at @ali_craw. Divergent Options’ content does not contain information of an official nature nor does the content represent the official position of any government, any organization, or any group. Date Originally Written: December 5, 2018. Date Originally Published: January 14, 2019. Summary: Cyber capabilities are changing the character of warfare. Nations procure and develop cyber capabilities aimed at committing espionage, subversion, and compromising the integrity of information. The North Atlantic Treaty Organization has evolved to meet these modern challenges by consistently implementing new policies, creating governing structures, and providing education to member-states. Text: In 2002, leaders from various nations met in Prague to discuss security challenges at a North Atlantic Treaty Organization (NATO) summit. Agenda items included enhancing capabilities to more appropriately respond to terrorism and the proliferation of weapons of mass destruction, to consider the pending memberships of several Eastern European nations, and for the first time in NATO history, a pledge to strengthen cyber defenses. Since 2002, NATO has updated its cyber policies to more accurately reflect the challenges of a world that is almost exclusively and continuously engaged in hybrid warfare. As NATO is a defensive organization, its primary focus is collective defense, crisis management, and cooperative security. Early cyber policy was devoted exclusively to better network defense, but resources were limited; strategic partnerships had not yet been developed; and structured frameworks for policy applications did not exist. When Russian Distributed Denial-of-Service (DDoS) attacks temporarily disrupted Estonian banking and business sectors in 2007, the idea of collective defense was brought to fruition. Later, in 2008, another wave of vigorous and effective Russian DDoS attacks precluded an eventual kinetic military invasion of Georgia. This onslaught of cyber warfare, arguably the first demonstration of cyber power used in conjunction with military force, prompted NATO to revisit cyber defense planning. Today, several departments are devoted to the strategic and tactical governance of cybersecurity and policy. NATO’s North Atlantic Council (NAC) provides high-level political oversight on all policy developments and implementation. Under the NAC rests the Cyber Defence Committee which, although subordinate to the NAC, leads most cyber policy decision-making. At the tactical level, NATO introduced Cyber Rapid Reaction teams (CRRT) in 2012 which are responsible for cyber defense at all NATO sites. The CRRTs are the first to respond to any cyber attack. The Cyber Defence Management Board (CDMB), formerly known as the Defence Policy and Planning Committee (Cyber Defence), maintains responsibility for coordinating cyber defense activities among NATO’s civil and military bodies. The CDMB also serves as the most senior advisory board to the NAC. Additionally, the NATO Consultation, Control, and Command Board serves as the main authority and consultative body regarding all technical aspects and implementation of cyber defense. In 2008 at the Bucharest Summit, NATO adopted its first political body of literature concerning cyber defense policy which primarily affirmed member nations’ shared responsibility to develop and defend its networks while adhering to international law. Later, in 2010, the NAC was tasked with developing a more comprehensive cyber defense strategy which eventually led to an updated Policy on Cyber Defense in 2011 to reflect the rapidly evolving threat of cyber attacks. NATO would continue to evolve in the following years. In 2014, NATO began establishing working partnerships with industry leaders in cybersecurity, the European Union, and the European Defense Agency. When NATO defense leaders met again at the Warsaw Summit in 2016, the Alliance agreed to name cyberspace as a domain of warfare in which NATO’s full spectrum of defensive capabilities do apply. Despite major policy developments and resource advancements, NATO still faces several challenges in cyberspace. Some obstacles are unavoidable and specific to the Internet of Things, which generally refers to a network of devices, vehicles, and home appliances that contain electronics, software, actuators, and connectivity which allows these things to connect, interact and exchange data. First, the problem of misattribution is likely. Attribution is the process of linking a group, nation, or state actor to a specific cyber attack. Actors take unique precautions to remain anonymous in their efforts, which creates ambiguities and headaches for the response teams investigating a particular cyber attack’s origin. Incorrectly designating a responsible party may cause unnecessary tension or conflict. Second, as with any computer system or network, cyber defenses are only as strong as its weakest link. On average, NATO defends against 500 attempted cyber attacks each month. Ultimately, the top priority is management and security of Alliance-owned security infrastructure. However, because NATO is a collection of member states with varying cyber capabilities and resources, security is not linear. As such, each member nation is responsible for the safety and security of their own networks. NATO does not provide security capabilities or resources for its members, but it does prioritize education, training, wargaming, and information-sharing. To the east of NATO, Russia’s aggressive and tenacious approach to gaining influence in Eastern Europe and beyond has frustrated the Alliance and its strategic partners. As demonstrated in Estonia and Georgia, Russia’s cyber power is as equally frustrating, as Russia views cyber warfare as a component of a larger information war to control the flow and perception of information and distract, degrade, or confuse opponents. U.S. Army General Curtis Scaparroti sees Russia using cyber capabilities to operate under the legal and policy thresholds that define war. A perplexing forethought is the potential invocation of NATO Article 5 after a particularly crippling cyber attack on a member nation. Article 5 bounds all Alliance members to the collective defense principle, stating that an attack on one member nation is an attack on the Alliance. The invocation of Article 5 has only occurred one time in NATO history following the September 11 terror attacks in the United States. The idea of proportional retaliation often arises in cyber warfare debates. A retaliatory response from NATO is also complicated by potential misattribution. Looking ahead, appears that NATO is moving towards an active cyber defense approach. Active defense is a relatively new strategy that is a set of measures designed to engage, seek out, and proactively combat threats. Active defense does have significant legal implications as it transcends the boundaries between legal operations and “hacking back.” Regardless, in 2018 NATO leadership agreed upon the creation and implementation of a Cyber Command Centre that would be granted the operational authority to draw upon the cyber capabilities of its members, such as the United States and Great Britain. Cyber Deterrence, as opposed to strictly defense, is attractive because it has relatively low barriers to entry and would allow the Alliance to seek out and neutralize threats or even to counter Russian information warfare campaigns. The Command Centre is scheduled to be fully operational by 2023, so NATO still has a few years to hammer out specific details concerning the thin line between cyber defense and offense. The future of cyber warfare is uncertain and highly unpredictable. Some experts argue that real cyber war will never happen, like German professor Thomas Rid, while others consider a true act of cyber war will be one that results in the direct loss of human life. Like other nations grappling with cyber policy decision-making, NATO leadership will need to form a consensus on the applicability of Article 5, what precisely constitutes a serious cyber attack, and if the Alliance is willing to engage in offensive cyber operations. Despite these future considerations, the Alliance has developed a comprehensive cyber strategy that is devoted to maintaining confidentiality, integrity, and accessibility of sensitive information. Divergent Options is a non-politically aligned non-revenue generating national security website that, in 1,000 words or less, provides unbiased, dispassionate, candid articles that assess a national security situation, present multiple options to address the situation, and articulate the risk and gain of each option. Please note that while we assess a national security situation and may provide options, we never recommend a specific option. Divergent Options is calling for national security papers assessing situations or discussing options related to countries choosing to pivot their focus away from one issue and towards another. We are also interested in national security papers assessing situations or discussing options related to new threats that countries may be facing. Please limit your article to 1,000 words and write using our Options Paper or Assessment Paper templates which are designed for ease of use by both writers and readers alike. Please send your article to submissions@divergentoptions.org by February 8, 2019. If you are not interested in writing on this topic, we always welcome individual articles on virtually any national security situation an author is passionate about. Please do not let our call for papers cause you to hesitate to send us your idea. We look forward to hearing from you! – Did U.S. President Barack Obama’s “Pivot to the Pacific” or “Rebalancing Towards Asia” succeed? Provide an assessment. – What options does the North Atlantic Treaty Organization have as the U.S. pivots away from Syria? – As the U.S. pivots away from Afghanistan, what options exist for the Afghan Government? What options exist for the Afghan Taliban? – What threats are posed by the continued evolution of hypersonic technology? Provide an assessment. – Artificial intelligence is rising. What threat does it pose? Provide an assessment. – Assess the next threat that countries effected by the Arab Spring will face. – Assess China’s efforts globally. Do they represent a pivot? If so, what are they pivoting toward and what is the impact? When did this pivot begin? – What are the next threats to emerge in Central America or South America? Provide an assessment. – Does any country need to pivot towards addressing organized crime? Provide an assessment. – Will U.S. President Donald Trump’s pivot away from Syria and Afghanistan succeed? Provide an assessment. – As Britain pivots away from the European Union, what options does it have to maintain its status in the world? – Is Russia pivoting away from Soviet-era tactics and towards something else? Provide an assessment. – What country is pivoting towards cyber warfare above all others? Provide an assessment. – Assess the U.S. pivot away from the Global War on Terrorism. While this may happen, will it make more terrorists pivot towards the U.S.? – Assess the potential use / misuse of Artificial Intelligence in future war crimes /crimes against humanity investigations. – What options exist to reduce Chinese dominance of cellular, internet, and other network infrastructure in poorer countries? – Assess the use of loans by China to curtail the sovereignty of African States. This assessment can also be done within the context of U.S.-China Competition. Gabriela Rosa-Hernández was the U.S.-Russia Relationship Research Intern at the American Security Project. Rosa-Hernández is a David L. Boren Scholar and a Critical Language Scholarship recipient for Russian Language. Collectively, she’s resided for nearly two years in post-soviet spaces such as Russia, Latvia, and the Republic of Georgia. Rosa-Hernández can be found on Twitter @GabrielaIRosa. Divergent Options’ content does not contain information of an official nature nor does the content represent the official position of any government, any organization, or any group. Editor’s Note: All translations were done by the author. Date Originally Written: December 10, 2018. Date Originally Published: December 31, 2018. Summary: In October 2018, Russian President Vladimir Putin spoke at the 6th World Congress of Compatriots Living Abroad and approved a migration policy. In 2014, Russia utilized its “Russian World” rhetoric to justify its illegal annexation of Crimea and its support of secessionist groups in the Donbass. Following Russia’s demographic decline, and its economic issues; it is likely that the “Russian World” narrative will continue and focus on compatriot resettlement. On December 31, 2015, the Russian government released its National Security Strategy and the term “compatriot” was mentioned twice therein. The first mention of “compatriot” was located under the “Russia in the Contemporary World” section. The document directly read that “Russia has shown the ability to defend the rights of compatriots abroad.” Right after this, the strategy remarked how Russia’s role has increased in solving important world problems. The strategy posed “defending the rights of compatriots abroad” as an international issue where Russia could bolster its role in the international arena. “Compatriot” was also casually mentioned under the “Culture” section. The “Culture” section of the strategy regarded Russian language as not only a tool of interethnic interaction within the Russian Federation but the basis of integration processes in the post-Soviet space. It remarked that the function of the Russian language as a state language was also a means of meeting the language and cultural requirements of “compatriots” abroad. Essentially, Russia visualized Russian language as something far more than its state language. Instead, Russia views the Russian language as the means to interethnic communication in the post-Soviet space, particularly Commonwealth of Independent States (CIS) member states. The document also mentioned that Russia supported Russian language and cultural programs in CIS member states to further the Eurasian integration process. Overall, Russian language was politicized in the document, and Russia declared its intent to keep Russian language alive in at least CIS member states. This intent is crucial to understand because Russia considers all those former-Soviet citizens with a linguistic affiliation to the Russian Federation under its compatriot policy. In October 2018, nearly three years after the release of Russia’s National Security Strategy, Putin stated in the 6th World Congress of Compatriots Living Abroad, “all together – represent a huge community of Russian-like compatriots, represent one large, huge, Russian world, which has never been exclusively built on only ethnic, national, or religious ground.” Putin further commented that Russian World unites all with a spiritual connection with Russia and all those who consider themselves carriers of Russian language, Russian culture and Russian history. Putin’s words followed the same line as Russia’s national security strategy; a strategy which listed the lowered role of Russian language in the world and the quality of its teaching as a national security threat. Russia effectively visualizes the use of Russian language and culture as a soft power tool to be employed not only in the international arena but the domestic arena as well. During the same speech, Putin declared that Russia would defend the interests and rights of compatriots by using all the international and bilateral mechanisms available to do so. Putin made this statement after accusing the Baltics and Ukraine of altering historical monuments and Russian language. While Putin’s speech reflected the principles written in Russia’s national security strategy, the speech did not reflect the narrative within the decree he signed and released on the same day on Russia’s state migration policy. Instead of highlighting the role of the interests of compatriots abroad, the decree focused on facilitating conditions for compatriots to resettle in the Russian Federation. This decree was a shift from a rhetoric which focused on international presence of foreign citizens who are native carriers of the Russian language. The shift signaled a change in narrative from an international policy brought down to the domestic level. Ultimately, the decree stated that the migration influx (2012-2017) into Russia compensated for Russia’s natural population decline before discussing state programs towards compatriots. This present change of emphasis regarding compatriots is likely due to Russia’s demographic decline. Overall, Russia’s new state migration policy shows how the concept of “Russian World” is adapted to fit the needs of the Russian state in a time of demographic decline. In conclusion, the rhetoric of “Russian World” served as justification for Russia’s illegal annexation of Crimea and support for separatists in the Donbass. Because of this, Russia’s “Russian World” is looked upon with suspicion by its neighbors. However, in the latest piece of policy regarding “compatriots,” instead of focusing on “Eurasian integration,” Russia seeks to attract “compatriots” into its territory. Following Russia’s demographic decline, and its economic issues, it is likely that “Russian World’s” narrative on compatriot resettlement will become stronger. This narrative will hold more importance over the “defending the rights of compatriots abroad” narrative. Due to the lack of tangible benefits of “defending the rights of compatriots abroad,” compatriot resettlement is likely to play a larger role in Russia’s future national security strategy. Doctor No has worked in the Cybersecurity field for more than 15 years. He has also served in the military. He has a keen interest in following the latest developments in foreign policy, information security, intelligence, military, space and technology-related issues. You can follow him on Twitter @DoctorNoFI. The author wishes to remain anonymous due to the work he is doing. The author also wishes to thank @LadyRed_6 for help in editing. Divergent Options’ content does not contain information of an official nature nor does the content represent the official position of any government, any organization, or any group. Date Originally Written: November 11, 2018. Date Originally Published: December 3, 2018. Summary: On September 18, 2018, the U.S. Department of Defense (DoD) released a summary of its new Cyber Strategy. While the summary indicates that the new document is more aggressive than the 2015 strategy, that is not surprising as President Donald Trump differs significantly from President Barack Obama. Additionally, many areas of adversary vulnerabilities will likely be taken advantage of based upon this new strategy. The U.S. DoD released a summary of its new Cyber Strategy on September 18, 2018. This 2018 strategy supersedes the 2015 version. Before looking at what has changed between the 2015 strategy and the new one, it is important to recap what has happened during the 2015-2018 timeframe. In 2015, President Obama met with China’s Premier Xi Jinping, and one of the issues discussed was China’s aggressive cyber attacks and intelligence gathering targeting the U.S. Government, and similar activities targeting the intellectual property of U.S. companies. The meeting and the sanctions before that did bear some fruit, as information security company FireEye reported cyber attacks from China against the U.S. decreased after that meeting. Russia on the other hand, has increased cyber operations against the U.S. and other nations. During 2014 in Ukraine, Russia seized Crimea, participated in military operations in Eastern Ukraine, and also demonstrated its might in cyber capabilities during these conflicts. Perhaps the most significant cyber capability demonstrated by Russia was the hacking and immobilizing of Ukrainian power grid in December 2015. This event was significant in that it attacked a critical part of another country’s essential infrastructure. The cyber attack that had the most media coverage likely happened in 2016. The media was shocked when Russians hacked the U.S. Democratic National Committee and used that data against Presidential candidate and former Secretary of State Hillary Clinton, specifically in social media during the U.S. Presidential election. The U.S. had its own internal cyber-related problems as well. “Whistleblower” Reality Winner and the criminal negligence of Nghia Hoang Pho have somewhat damaged the National Security Agency’s (NSA) capabilities to conduct cyber operations. The Nghia Hoang Pho case was probably the most damaging, as it leaked NSA’s Tailored Access Operations attacking tools to adversaries. During this timeframe the U.S. Government also prohibited the use of Kaspersky Lab’s security products in its computers due to security concerns. Also worthy of note is that the U.S. administration has changed how it conducts diplomacy and handles military operations. Some have said during President Obama’s tenure his administration micromanaged military operations. This changed when President Trump came to the White House as he gave the U.S. military more freedom to conduct military operations and intelligence activities. Taking these events into account, it is not surprising that the new DoD Cyber Strategy is more aggressive in its tone than the previous one. Its statement to “defend forward to disrupt or halt malicious cyber activity at its source,” is perhaps the most interesting. Monitoring adversaries is not new in U.S. actions, as the Edward Snowden leaks have demonstrated. The strategy also names DoD’s main adversaries, mainly China and Russia, which in some fields can be viewed as near-peer adversaries. The world witnessed a small example of what to expect as part of this new strategy when U.S. Cyber Command warned suspected Russian operatives of upcoming election meddling. Much has been discussed about U.S. reliance on the Internet, but many forget that near-peer adversaries like China and Russia face similar issues. What China and Russia perhaps fear the most, is the so-called Orange Revolution, or Arab Spring-style events that can be inspired by Internet content. Fear of revolution leads China and Russia to control and monitor much of their population’s access to Internet resources via the Great Firewall of China, and Russia’s SORM. Financial and market data, also residing on the Internet, presents a vulnerability to Russia and China. Much of the energy sector in these countries also operates and monitors their equipment thru Internet-connected resources. All of these areas provide the U.S. and its allies a perfect place to conduct Computer Network Attack (CNA) and Computer Network Exploitation (CNE) operations, against both state and non-state actors in pursuit of U.S. foreign policy goals. It is worth noting that Britain, arguably the closest ally to the U.S., is also investing in Computer Network Operations, with emphasis on CNA and CNE capabilities against Russia’s energy sector for example. How much the U.S. is actually willing to reveal of its cyber capabilities, is in the future to be seen. Beyond these changes to the new DoD Cyber Strategy, the rest of the document follows the same paths as the previous one. The new strategy continues the previous themes of increasing information sharing with allies, improving cybersecurity in critical parts of the homeland, increasing DoD resources, and increasing DoD cooperation with private industry that works with critical U.S. resources. The new DoD Cyber Strategy is good, provides more maneuver room for the military, and its content will likely be of value to private companies as they think about what cyber security measures they should implement on their own systems. Editor’s Note: This article differs from the regular format we use at Divergent Options per a request from Nate Freier of the Strategic Studies Institute at the U.S. Army War College. This article has the writer imagining that they are a Special Assistant to the U.S. Secretary of Defense (SecDef). The writer is responding to a request from the SecDef for a two page memo that defines or describes strategic and military risk and identifies national security situations that may take place from 2017 to 2027 that would require the U.S. Department of Defense to surge personnel or capability to address. The entire call for papers can be found here. Brian Christopher Darling has served in the United States Army in Iraq, Afghanistan, and Qatar. He has master’s degrees in Liberal Studies and Public Service Leadership from Rutgers University and Thomas Edison State University, respectively. Mr. Darling is presently employed at Joint Force Headquarters, New Jersey National Guard. He can be found on twitter @briancdarling and has written for NCO Journal. Divergent Options’ content does not contain information of an official nature nor does the content represent the official position of any government, any organization, or any group. The Department of Defense faces a number of significant challenges in the coming decade. Some of these situations involve familiar scenarios, some involve rising threats, and worst-case scenarios involve combinations of state and non-state actors and cyber warfare. Not all threats to national security come from outside influencers either as the current state of the economy places the entire Department on precarious footing. The purpose of this memorandum is to define strategic and military risk in the context of three areas that might well require a surge of United States armed forces. It is prudent here to discuss risk assessment. Although the previous administration sought to create more multilateral relationships and to conclude contingency operations in Iraq and Afghanistan, the current President is faced with threats from an unstable North Korea, a resurgent Russia, and continued violence by state and non-state actors in CENTCOM. The scenarios discussed herein require major risk considerations in terms of force management risk (manpower and readiness), institutional risk (funding and logistics), and future challenges. The first area where the United States may be obligated to commit additional forces is the Middle East, commonly referred to as the CENTCOM Theater. The Overseas Contingency Operations ongoing in CENTCOM drain manpower and readiness from forces which might otherwise be employed in EUCOM, PACOM, and elsewhere, thereby emboldening adversary states in those regions. Further, surging forces to existing contingency operation locations risks an appearance of impropriety by the United States through support of oppressive regimes with records of human rights violations. By surging forces in CENTCOM, the United States demonstrates its continued commitment to stability in the region. Modular escalation of forces also serves to deter Iranian intervention in conflicts in Iraq and Syria. A surge of forces to allied countries in the area would allow for rapid response to conflict within the region, to wit: the destruction of the Islamic State of Iraq and the Levant and ongoing conflicts with Al Qaeda and their affiliates and the Haqqani network, the conclusion of the first being a stated goal of the new administration. A discussion involving the ongoing hostilities in Syria logically leads to a consideration of a rising hegemonic threat. This second possible area of consideration is the EUCOM Theater, involving a rising Russia and a surge of forces in Eastern Europe. By surging forces to Eastern European nations formerly associated with the Warsaw Pact, the United States risks escalating tensions with Russia. Further, reassigning forces from the pool available to CENTCOM creates an operational risk in the Middle East and a future challenges risk in both CENTCOM and PACOM. A surge of forces in EUCOM would demonstrate the new administration’s continued commitment to NATO. The President has previously publicly questioned the value of the alliance; surging forces to counter Russian territorial expansion is a visible demonstration of the United States’ continued support of the existing international order. A surge of forces in EUCOM would also deter further Russian annexation of territory previously controlled by the former Soviet Union, as it has been aggressively active in previous years. The final area where a surge of forces may be necessary is in South Korea, in the PACOM Theater. The North Korean regime has become increasingly unstable and its nuclear threat has become more volatile. Surging forces to PACOM risks nuclear intervention by the unstable North Korean regime, as well as grating the Pakistanis and emboldening our Indian allies. Perhaps most significantly, a surge might also risk aggravating the United States’ relationship with China. Demonstrating support of our allies in PACOM continues the themes of the previous administration’s pivot to the pacific. The President has continued to demonstrate an interest in improving America’s Pacific alliances. The United States would provide a balance of power between the rising economies in the area and a hegemonic China. A surge presence in the Pacific theater would also reassure Taiwan, which might fear Chinese aggression, while also balancing potential conflicts between India and Pakistan. Given the current manpower of the armed forces, any of the options above present an unsustainable future challenges risk to the Department of Defense. Consideration must also be given to the condition of the platforms available to the services; the Air Force and Navy are currently dealing with issues regarding decades-old weapons platforms. Although the President has sought more cost-effective relationships with vendors, there is a long-term institutional risk to development and acquisitions. Gates, R. (2010). Quadrennial defense review. Washington, DC. Chris Townsend is an active duty U.S. Army officer with 20 years of service. He is a Middle East and North Africa Foreign Area Officer. He can be found on Twitter @FAO_Chris and has written for the Journal of Defense Resources Management, Small Wars Journal, Armchair General, and the Strategy Bridge. Divergent Options’ content does not contain information of an official nature nor does the content represent the official position of any government, any organization, or any group. 1. DEFINING RISK: Risk is any uncertainty that could complicate military operations or limit strategic options in responding to threats to U.S. interests. Risks to strategic and military response can be categorized into three areas: Operational, Institutional, and Global. a. Operational risk represents potential threats to military options and includes the presence of near-peer adversaries capable of area denial and the creation of threats across multiple domains simultaneously; weapons of mass destruction; adversarial Cyber, Space, Intelligence, Surveillance, and Reconnaissance capabilities; and the potential for simultaneous multiple-theater, multiple-phase conflict. b. Institutional risk includes the forces, funding, and acquisition uncertainties and inefficiencies. These affect the size, training, equipping, readiness, and resilience of the fighting force and the ability to project power in response to dispersed threats while defending the homeland and assisting civil authorities. c. Global risk represents the uncertainties introduced by climate, politics, and societal factors. Complications introduced from changes to climate or natural disasters, competition for resources, challenges to sovereignty, cultural friction, and global, criminal—independent or state-aligned—actors all present risks that must be mitigated and used to inform planning. 2. THREAT SCENARIOS: The greatest threat to the United States response capability is a simultaneous, multiple-theater, multiple-phase, multiple-domain conflict compounded with a homeland defense requirement in an era of dwindling resources and forced reductions in manning and equipping in a global political environment where the U.S. has reduced basing, access, and overflight options due to lapsed efforts in relationship maintenance, coupled with a lack of partner capacity and poorly defined political and strategic end states. a. The most likely scenario for the next ten years is for America to continue its military involvement in Iraq, Syria, and Afghanistan as Iran seeks to increase its influence through the continued proliferation of the Iranian Threat Network and meddling in regional politics. As the conflicts resolve, there will be significant requirements for the U.S. to train and equip security forces to maintain the fragile stability in these countries. Periphery conflicts like Egypt in Libya, Turkey in Northern Syria and Iraq, and Saudi Arabia in Yemen will strain resources as the U.S. continues to support partners with equipment and training. Counterterrorism efforts will continue to require attention and resources around the globe and here at home. b. The most dangerous scenario is state-on-state aggression that either through treaty or interest requires U.S. engagement in addition to the ongoing security missions around the globe. Potential conflicts include Russian aggression in Eastern Europe, Iranian-Saudi War, Chinese seizure of Taiwan and surrounding waters, clashes between India and Pakistan, and North Korean attacks on South Korea or Japan. Any such conflict would expose the inability of the U.S. military to truly project power in multiple theaters while protecting the homeland. c. The most disruptive scenario would be a full-scale, multiple-domain attack on the homeland while forces are deployed into multiple theaters. Potential adversaries have demonstrated the capability to disrupt internet, power, and communication systems in addition to the ability to shoot down satellites. Significant network outages would create chaos in civilian arenas and significantly challenge military planning. Space capabilities of new satellites deployed by potential adversaries could threaten lateral physical or cyber attacks against our satellites creating long-term disruption. The U.S. could find itself unable to address threats from distant adversaries that have developed capabilities that increase stand-off distances and preclude insertion of forces without significant risk. Other belligerents would likely seize on U.S. preoccupation by launching efforts to resolve regional disputes. 3. SURGE REQUIREMENTS: In every scenario the U.S. would be required to surge forces in response to aggression or instability. a. U.S. Forces must be capable of surging forces into two separate theaters while maintaining ongoing security requirements at home and abroad. Current manning, arming, and equipping forecasts are insufficient for this kind of conflict, straining the ability to respond, reducing the margin of error, and increasing the costs. Potential conflicts with near-peer adversaries would be longer wars with higher casualties that embolden those that threaten our interests while undermining the confidence of allies and partners. b. The priority now must be to shift current security and training responsibilities to partner nations with U.S. support. Domain owners must refocus on basic proficiency in their respective domain: air, land, sea, cyber, space. Efforts to establish relationships between domain owners that allow for quickly assembled Joint Task Forces to effectively operate are vital to addressing potential threats. The risks from multi-domain battle and anti-access/area denial must be addressed through focused strategic planning for ways to defeat these threats and develop our own capabilities in these areas. c. While global risk can only be understood and used to inform planning, operational and institutional risk can be managed by military and civilian leaders. Legislative and doctrinal efforts must define the institutional and operational risk tolerance thresholds and match those assessments with funding and programs to mitigate residual risk. Without a rebalance away from ongoing security requirements, and a refocus on core domain competencies absent the uncertainty of sequestration, the U.S. will find itself challenged in the most likely scenarios and sorely outmatched in the most dangerous and disruptive ones. 4. POC for this memorandum is Christopher P. Townsend, MAJ, SC. Nathan Wike is an officer in the U.S. Army and a member of the Military Writer’s Guild. The opinions expressed are his alone, and do not reflect the official position of the U.S. Army, the Department of Defense, or the U.S. Government. Divergent Options’ content does not contain information of an official nature nor does the content represent the official position of any government, any organization, or any group. INTRODUCTION: The Secretary of Defense recently requested a series of position papers that describe national security situations that may take place from 2017 to 2027 that would require the U.S. Department of Defense (DoD) to surge personnel or capability. This is a critical step in considering the potential threats to U.S. national interests that may arise within the next decade. However, it rests upon a key assumption: that the DoD is capable of surging personnel to respond to a contingency. This topic directly relates to all four components of risk, outlined on page 90 of the 2010 Quadrennial Defense Review. This memorandum discusses the means by which the DoD can surge personnel to rapidly expand the joint force in response to a contingency, and the potential risks. BACKGROUND: Since the 1970s, the U.S. military has relied upon the all-volunteer force (AVF) to fill its ranks. This force is unquestionably one of the most professional and capable militaries in all of history. The AVF has met every challenge with distinction, and is a credit to the nation. However, the AVF may not be enough to ensure victory against a peer or near-peer competitor in a conflict where vital U.S. interests are at stake. History reveals that in every major war, where the U.S. has faced an existential threat (e.g. the American Civil War, WWI, WWII), more than volunteers were required to achieve victory. An unfortunate side effect of the AVF is that the methods and skills for utilizing the various means of surging military personnel have atrophied, or completely passed from the lexicon. These means equate to methods of conscription, which are inherently unpopular in any society. However, they are crucial in a major contingency. DISCUSSION: A well-conceived and tested system of surging personnel is a strategic capability that serves U.S. national interests. It provides assurance that the DoD can rapidly grow the joint force with the most qualified personnel available. This in turn serves as a deterrent to conflict. The options may be politically and socially difficult to implement, or even to contemplate. But losing a war would be even more so. There are four primary methods through which the DoD may surge personnel. They may be applied in any sequence, or concurrently with one another. All are governed by the United States Code (USC). These four methods are: involuntary extension, ready reserve mobilization, enhanced recruitment strategies, and military selective service. Each method has various pros and cons that must be assessed prior to implementation. Involuntary extension, colloquially known as “stop-loss,” is the fastest way to surge military personnel. This method retains a service-member beyond their initial end of term of service (ETS) date and up to their contractually agreed end of active obligated service (EAOS). Involuntary extension, which generally affects junior officers and enlisted personnel, is governed by Title 10, USC, Section 12305(a). This option has LOW operational and institutional risk, as it provides an immediate pool of trained personnel who are already assigned to units, and it has been used throughout the various operations throughout the 21st century. However it entails MODERATE force management risk, especially as is relates to morale and recruitment, and it is not sustainable over time. Ready reserve mobilization affords the ability to recall service-members to active or reserve component service within 400 days of their ETS. This method affects a broad range of personnel from all ranks and occupational specialties. Ready reserve mobilization is governed by Title 10, USC, Section 12301(a). It has LOW operational risk, since affected personnel are not too far removed from military service, are generally of higher ranks and experience, and may quickly be re-integrated into units. This method has HIGH force management and institutional risk. It has been utilized within the last decade, but only for a minute percentage of personnel, and though all personnel assigned to the ready reserve are legally required to meet certain standards, in practice there are virtually no incentives to comply. Enhanced recruitment strategies are the means by which the various recruitment apparatuses of the DoD can induce new personnel to volunteer for military service. This method primarily affects initial entry personnel, though it may extend to lateral entry personnel for select occupational specialties. This method has MODERATE operational risk, as it requires compromises in standards, and personnel arrive at units lacking valuable experience. It has MODERATE force management and institutional risk, as it preserves the spirit of the AVF, and the DoD can manage this method within existing structures, provided additional financial and material resources can be made available. Military selective service, colloquially known as the draft, allows the DoD to draw upon the entire (male) population to meet personnel requirements, for all specialties. This is the most strategically significant option, by far. Military selective service is governed by Title 50, USC, Chapter 49. However it has HIGH risk across all categories. It has not been used since 1973, excludes eligible females, and the DoD no longer has the apparatuses or plans in place to monitor, induct, and assimilate the potentially vast numbers of eligible personnel. CONCLUSION: The risk to future challenges is currently HIGH, given that none of the aforementioned options are currently planned for, let alone regularly tested in the context of a major contingency operation. Reduction in risk can only come through a comprehensive review of the DoD’s processes to surge personnel, according to the USC. The options of involuntary extension, ready reserve mobilization, enhanced recruitment strategies, and military selective service must be incorporated into DoD strategic planning, then operationalized as part of exercises, and in practice for select cases. The ability to rapidly surge personnel is a strategic capability that must be preserved and modernized in order to safeguard U.S. interests from 2017 to 2027 and beyond. Mark Safranski is a Senior Analyst for Wikistrat, LLC. His writing on strategy and national security have appeared in Small Wars Journal, Pragati, War on the Rocks as well as in recent books like Warlords, inc., Blood Sacrifices:Violent Non-State Actors and Dark Magico-Religious Activities and The Clausewitz Roundtable. He is the founder and publisher of zenpundit.com. National Security Situation: The Syrian Civil War. Date Originally Written: December 23, 2016. Date Originally Published: January 16, 2017. Author and / or Article Point of View: An analyst considering U.S. national interest in terms of grand strategy. Background: Aleppo has fallen and with it the last shreds of credibility of President Obama’s policy on Syria. None of Obama’s policy goals for Syria since the Arab Spring revolt were achieved. In Syria, the Assad regime has crushed western-backed opposition fighters with direct Russian and Iranian military ground support; the Islamic State in Iraq and Syria (ISIS) still controls swaths of Syrian territory and North Atlantic Treaty Organization (NATO) ally Turkey has conspired with Iran and Russia to exclude the U.S. and UN from Syrian settlement talks. Significance: While Syria itself is of little strategic value to the U.S. beyond secondary implications for Israeli security, the utter failure of the Obama administration has brought U.S. diplomatic prestige to a nadir reminiscent of the Iranian hostage crisis or the fall of Saigon. Worse, defeat in Syria occurred in a broader context of successful Russian aggression in Ukraine, uncontested Russian meddling in an U.S. presidential election, and perceptions of U.S. strategic concessions to Tehran in the Iran nuclear deal (Joint Comprehensive Plan of Action or JCPOA). Should the next administration want to accomplish more than Obama, it is vital that they 1) address Syria within the context of increased Russian-U.S. competition and 2) seize the initiative in restoring the influence of U.S. leadership with substantive and symbolic policy changes in regard to Syria and Russia. Option #1: Salvage Syria primarily in terms of a comprehensive re-ordering of U.S.-Russian relations to reduce threats to international stability from inter- and intra- state conflict. Henry Kissinger’s concept of “linkage” should be revived as a guiding principle rather than treating all points of international conflict or cooperation with Moscow as unrelated and occupying separate boxes. Russian misbehavior needs to be met with appropriate countermeasures. If U.S. diplomats are assaulted by Federal Security Service (FSB) thugs, Russian diplomats in the U.S. are restricted to their embassies. If U.S. elections are hacked, Russia’s large number of intelligence officers under diplomatic cover in the U.S. are promptly expelled. If “little green men” appear in friendly states, the U.S. instigates tough banking, economic or security aid pressure on Moscow. Likewise, instead of trading public insults, the U.S. under Option #1 should negotiate frankly over Russian concerns and be prepared to build on points of cooperation and make concessions on a reciprocal basis. If the U.S. could strike deals with Brezhnev we can do so with Putin. Risk: The U.S. begins from a position of weakness in regional conflicts, having little direct leverage over events on the ground in Syria or eastern Ukraine, which is why U.S. policy must shift to focus on systemic and strategic levels. U.S. bureaucratic and political stakeholders have simultaneously pursued incompatible goals (i.e. overthrow Assad, stop ISIS, keep Syria intact, support rebels, fight terrorism, non-intervention) and will strongly resist a genuine strategy that forces choices. Demonstrations of political will may be required by the new administration to convince partners and adversaries now skeptical of U.S. resolve or capability. Gain: Russian-U.S. relations could eventually shift to a “new detente” that replaces a high level of friction and peripheral aggression to if not friendly, at least business-like engagement. Regional conflicts and attendant humanitarian crises could be moderated or settled in a stable diplomatic framework. Progress on issues of mutual security concern such as Islamist terrorism could be made. Trust in U.S. leadership could be regained. Option #2: A second strategy would be to address Syria narrowly with the objective of a settlement that cuts U.S. losses and attempts to return to as much of the status quo ante as possible – a weak state governed by Assad with minimal ability to threaten neighbors, guarantees for minorities, no ISIS or Islamist terror group in control of territory, and a removal of foreign military forces. Risk: While preferential to the current situation, Option #2 could be perceived as a U.S. retreat due to dropping longstanding unrealistic policy goals (i.e. regime change, Syria becoming a liberal democracy) in return for real increases in regional security and stability. Domestic opposition in the U.S. from neoconservative and liberal interventionists is apt to be fierce. The effort may fail and Syria could see a large-scale military build-up of Russian and Iranian military forces, threatening Israel. Gain: A diplomatic end to the conflict in Syria would have multiple benefits, not least for Syrian civilians who bear the brunt of the costs of civil war. Preventing permanent state failure in Syria would be a strategic win against the spread of ISIS and similar radical Islamist Sunni terror groups. The flow of refugees to Europe would markedly decline and those abroad in states like Turkey or Jordan could begin to return to Syria. Finally, Syria would not become a major military outpost for Russia or Iran. Other Comments: It is most important that the new administration not begin by leaping into any particular foreign policy problem, including Syria, but start with a grand strategic end of improving U.S. global position and capacity, which in turn increases U.S. ability to uphold a stable, rules-based, international order. Note as of January 20, 2019: This Call for Papers from December 2016 may reappear in your queue as a newly published item. It is not. This is us testing some functionality at our website. Thank you for bearing with us. Before we discuss this call for papers, Divergent Options would like to publicly and sincerely thank Loren DeJonge Schulman of the Center for a New American Security. Loren, without you this call for papers would never have happened. Divergent Options is in your debt. If you need anything in the future, please don’t hesitate to contact us. One of the four things we aspire to do at Divergent Options is to partner with research organizations to call for papers on a national security situation they have requested us to explore. 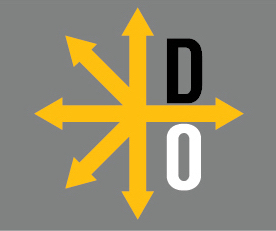 It is within this context that Divergent Options is proud to announce a partnership with Nate Freier of the Strategic Studies Institute (SSI) at the U.S. Army War College. In the summer of 2016 SSI began a year-long study of strategic and military risk and risk assessment. The Office of the Deputy Assistant Secretary of Defense for Strategy and Force Development, Office of the Chairman of the Joint Chiefs of Staff J-5 Strategic Plans and Policy Directorate, and the Office of the Deputy Chief of Staff, G-3/5/7, Headquarters, Department of the Army sponsor SSI in this undertaking. Since initiating the research, SSI has assembled a joint team of defense analysts, serving officers, and national security professionals to take a comprehensive look at the U.S. Department of Defense’s risk assessment challenges. In the final analysis, SSI is endeavoring to arrive at meaningful conclusions for the entire U.S. Department of Defense by examining how the Pentagon defines, identifies, and accounts for risk in strategy development and strategic decision-making. This call for papers represents an opportunity for potential Divergent Options authors to assist in SSI’s research efforts. If you have ever wanted to be able to provide your ideas to the Pentagon, here is your chance. – Defines or describes strategic and military risk and their various components. (Note that the SecDef views components of risk as akin to operational, force management, institutional, and future challenges risk as described on page 90 of the 2010 Quadrennial Defense Review). – Describes national security situations that may take place from 2017 to 2027 that would require the U.S. Department of Defense to surge personnel or capability to address. The SecDef asks that you describe national security situations that are the likeliest (e.g. routine), most dangerous (e.g. most militarily lethal), and most disruptive (e.g. highly demanding and unanticipated). – Describes how these surge demands will impact U.S. Department of Defense priorities and strategic and military risk assessments. Deadline for Submission: February 3, 2017.